Suppose I told you people with cardiovascular disease need red wine and chocolate candy? Well, more specifically resveratrol - found in red grapes - and dark chocolate have been cited for reducing cardiac risk factors, says Heather Hausenblas, Ph.D., of the University of Florida College of Health and Human Performance. "The year-long study on resveratrol found favorable results," she says. And while general information says two glasses of red wine for men and one for women helps with good health, Hausenblas says it's not that simple. Q: We "drink" our way to good health, right? A: Well, there's more resveratrol in red wine than white, more in a pinot noir than a cabernet, more in organic. But it's tricky to say because the amount varies with the type of wine. We actually advocate getting the supplement form because it allows a clinical dose without the negativity of alcohol. I like a glass of red wine, but not for resveratrol because the amount varies by wine. Q: But wine companies are advertising the benefits. A: Enjoy your wine as wine and take the supplement. Q: Can you tell me about the supplement? A: The American Journal of Cardiology recently published a clinical trial that lasted a year. Resveratrol therapy was found to be a viable adjunct to gold standard primary prevention using statins. The triple-blind, randomized-parallel, dose-response, placebo-controlled trial involved 75 high-risk patients with diabetes, high cholesterol and one other cardiovascular risk factor. Cardiac patients who took the resveratrol supplement (8 mg for the first six months and 16 mg for the next six months) lowered multiple markers of inflammation to reduce heart disease risk. Q: So we take a supplement. What supplement? A: Japanese knotwood has the highest source of resveratrol in a plant. So make sure your supplement is high in Japanese knotwood. Organic grapes also have a high concentration. Q: So I take this supplement for heart health? A: Resveratrol is beginning to show us exciting, positive results by lowering the markings of inflammation. It may be beneficial with other aging diseases, but now we know it helps prevent cardiovascular disease, stroke, diabetes. Q: Is the supplement expensive? A: It's not usually expensive. It should cost less than $1 a day. I would start out with 250 mg and make sure you can tolerate the supplement. Then increase the dose. Typical side effects include gastrointestinal problems and diarrhea, so make sure your supplement is pure. Q: Now can we talk about chocolate? 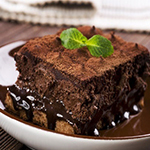 A: Cocoa with chocolate has heart-health effects. There are exciting clinical trials under way. We are talking, of course, about unsweetened dark chocolate with the highest percentage of cocoa. But, again, I recommend (cocoa flavanols) supplements. They are better than drinking real cocoa to make sure you get the benefits your heart needs in the right amount and so on. Q: Red wine and dark chocolate ... sounds wonderful until you put them in pills and capsules. A: They're for your heart, not your taste buds. Be joyful you can find supplements that provide this help. And then when you do drink red wine or eat chocolate, you can say you are benefiting your supplements and still doing great things for your heart. It's a win-win. The Orange County Register, Calif. (c)2012 The Orange County Register (Santa Ana, Calif.) Distributed by Mclatchy-Tribune News Service.